Last week we shared the happy news that eager European gamers could download Pikmin 3 early with GAME code purchases, which was great news for those planning to go the eShop retail route. Unfortunately, concern started to spread around the web when some Wii U Premium Pack system owners noticed that they hadn't received their Nintendo Network Premium points, and others received responses from Nintendo UK's Customer Services apparently stating that pre-release GAME code downloads wouldn't be eligible for the 30% off The Wonderful 101 deal. Naturally, that caused a great deal of frustration, especially as GAME selling the Pikmin 3 eShop codes early — assuming it was without permission — was the fault of the retailer and the eShop platform, not eager consumers. We followed up with Nintendo UK to clarify the facts around the matter, and the good news is that, in both scenarios, those who downloaded the GAME codes early will eventually receive both Nintendo Network Premium points (if eligible for the programme) and 30% off the eShop download of The Wonderful 101. Nintendo UK's statement and details are below. Users who download Pikmin 3 from Nintendo eShop on Wii U up to and until 21/09/2013, 22:59 UTC [are eligible], even if the download was made before the official release date of Pikmin 3. 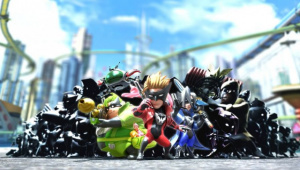 Both Pikmin 3 and The Wonderful 101 have to be downloaded using the same Nintendo Network ID on the same Wii U console. Both purchases through Nintendo eShop and redemption of Download Codes (e.g. purchased from retailers) are eligible for the promotion. 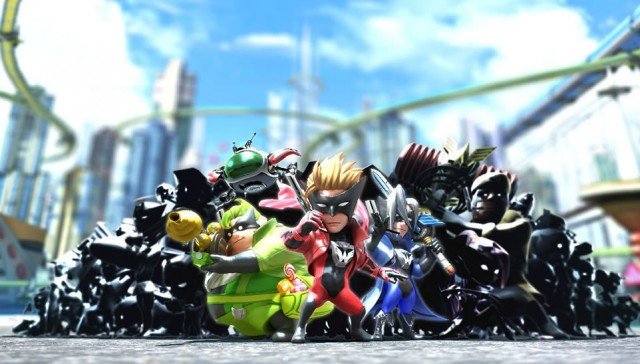 The Wonderful 101 has to be purchased by 21/09/2013, 22:59 UTC using the same Nintendo Network ID that Pikmin 3 was downloaded with. Due to technical specifications, it was not possible to automatically process downloads made before the official release date of Pikmin 3. We are looking into a solution and thank you for your patience while we resolve this matter. 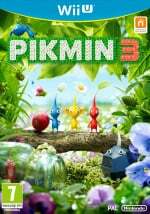 This seems to resolve all potential issues that were feared over recent days, as both benefits to picking up the eShop version of Pikmin 3 will be honoured for those that downloaded the title early with GAME redemption codes, even allowing for a delay applying Nintendo Network Premium points. How come US doesn't get this Promo? @arrmixer The U.S. had an alternative promo last week that we reported, where adding over $50 of credit in a specific window entitled those accounts to free eShop funds. Not had a response to my complaint email about the situation so thanks for the info NL. Having said that the eCode from game was £5 less than the eStore price, plus I'm guessing a few of us saved a few more pounds using GAME reward points and got the game upto 2 days early so not getting the premium reward points is minor compared to missing out on the 30% discount on Wonderful 101 and is more a matter of principle than anything. Thank you for getting us a confirmation Tom! Was getting a bit worried when my premium points didn't update over the weekend. Now I know I'll get not only W101 cheap, but likely another £5 eShop voucher too! I also won the first week of the animal crossing twitter contest and got myself £50 in eShop credit, so I can get W101, Ducktales and a few extras for a grand price of 0 pence XD It's been a pretty good week all in all - and it's only tuesday! Thanks for the update! Was worried I would miss out on the discount and premium points since downloading the game early. Thanks to NL for getting a response from Nintendo, as like GiftedGimp I have not recieved a reply from Ninty themselves. Great to see by plumping to go digital with Pikmin 3, us sneaky early Eshop types are still eligible for the W101 promo and will eventually get the premium points. Hopefully there will be more Eshop promotions with full retail games. Great response from Nintendo here, I'm glad they clarified all this and have done the right thing by their eager customers. Seeing as how I intend to purchase both games in physical form day one, I wish they had a similar promotion for retail purchases in the Americas. Nintendo handled this very well indeed. Well luckily someone figured this out, but I would be very happy if nintendo was clear on these issues beforehand. I would've ordered the download code for an additional discount in that case. So this is a bit too late for all the hype to settle in. I am very happy with my purchase, no doubt, it's just a bit too late to communicate this part, especially the download code bit. @ThomasBW84 I don't think that was a very good promo, to be honest. You had to spend $50 to get 5 dollars off, or spend $100 to get 10 dollars. That's no where near as good as this. I'm not complaining to you, Thomas. I just think Nintendo Of America needs to think of better deals, in my opinion. I know you all are based in the U.K. and NoE is your affiliate. @Rafie Yeah, I do think the European promotion was better, personally. Still haevent got My downloadcode and customer service dont answer My mails.. Om pretty annoyed at game right now. @ThomasBW84 My apologies, Thomas. What I meant was that being in the U.K, you all would take advantage of what NoE offers, versus some of us that are in America. Not that NintendoLife was affiliated with Nintendo as a business partner. Thanks for the response kind sir. Feels like an ad starting a bank account. Glad this has been resolved. 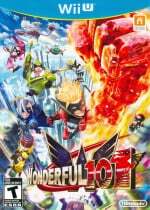 I'm still picking up a physical copy of Wonderful 101 though (as I did with Pikmin 3) as I'd still rather pay a small amount more (my copy of The Wonderful 101 is only costing me £32.86 from Shopto, same as my copy of Pikmin 3 was) as opposed to spending about £60 on a decent 1tb external hard drive and then needlessly using up a load of space on it. I might take advantage of this now it's cleared up. Although a hard drive might be required sooner rather than later. This, w101, wind waker, plus a few eShop games like duck tales and I'm still under percent through lego city. Brilliant. Everyone always jumps on nintendo's back whenever bad news regarding delays or any genuine blunders are concerned.yet no one wants to praise them when they truly do something many companies wouldnt even consider.I mean could you realy see sony or m$,after downloading a game early, reasuring fans that they will still get all the promotions and benefits? Well I downloaded pikmin 3 early and when I heard I may not get the 30% discount or my premium points,i was a little disapointed but I said to myself"well its my fault,shouldnt have downloaded the game early".Now that I AM going to be getting to benefits I am truly impressed with nintendo's commitment to its fans,it really had every right to pull those benefits,but nintendo dont work like that. In short,well played nintendo,well played! I didn't get my day early download code from gamestop so I'm hoping that comes through, It's midday saturday and I'm kind of waiting for the email. Erm it dosnt show me getting 30% discount,even though I got pikmin 3 digitally.its still showing as £40? Help someone! Brought my pikmin 3 download off Game website early hours of friday 26th July. Not giving me 30% off Wonderful 101 even though it says that Pikmin 3 is purchased. Will be sending email to Nintendo soon.